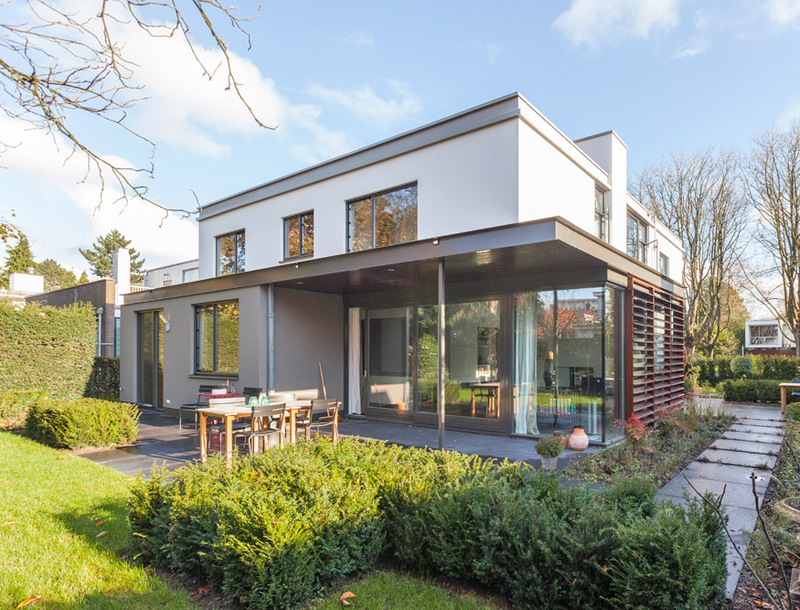 Tucked among the high-rises of Amsterdam, Marc Prosman Architect's Villa Zuid is a gorgeously revitalized 1950s villa, which was completely updated for modern living without compromising the home’s modernist roots. The residence is the perfect marriage of mid-century and modern living in the middle of the big city. Prosman removed walls and opened the interior to provide long sight lines and create an expansive, airy feeling. To complement to the spacious interior, a glass facade was added to allow in plenty of light and blur the line between the interior and the exterior. A steel profile was added to the building’s extension, echoing the look and feel of the existing concrete eaves. The home was covered in a muted stucco, giving the structure a clean, simple exterior to match the simple black, gray and white interior. To add to the expansive interior, a glass facade was added to allow in plenty of light and blur the line between the interior and the exterior. 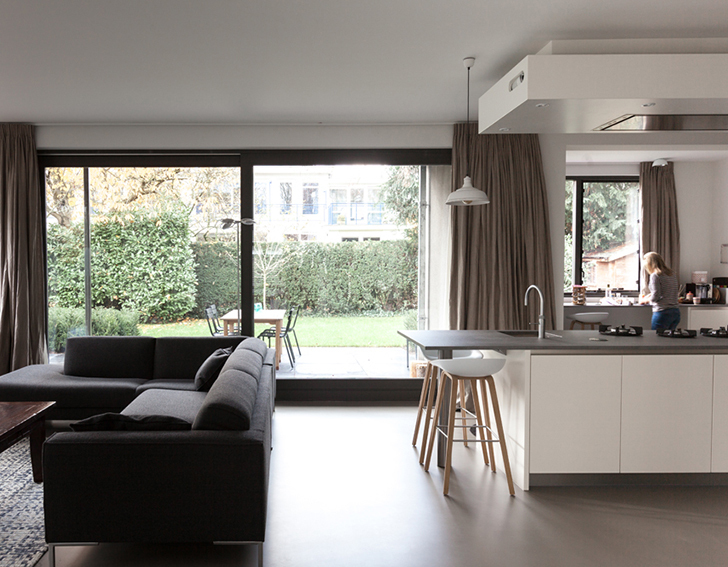 The interior of the home was completed in simple black, white and gray tones. A simple, black curved staircase contrasts against the geometric white bookshelves. Prosman opened the interior to provide long sight lines and create an open, airy feeling. A steel profile was added to the building, echoing the look and feel of the existing concrete eaves. Marc Prosman Architects is based in the Netherlands.